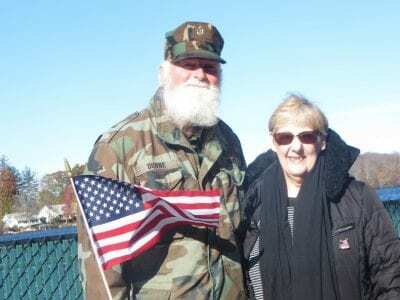 In Mahopac, Richard Dunne and his wife, Helene, waved Old Glory during a ceremony. 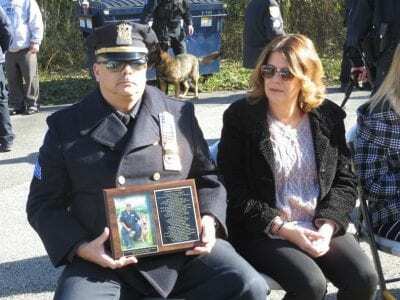 Photo by Eric Gross Arctic cold along with golden sunshine and glorious blue skies greeted scores of veterans Saturday when Putnam County observed Veterans Day. … Please login below or purchase a subscription to the Putnam County Courier to access this content. Robert Langley watches on as the results of the election start coming in. 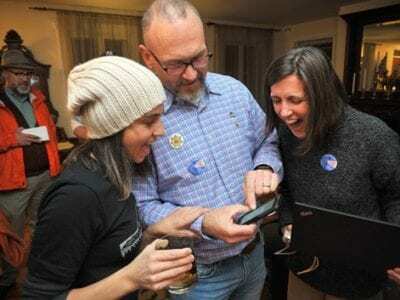 Photo by Chris Layton UPDATED STORY, 11:35 pm Tuesday: It’s now official: Robert Langley is the new sheriff in town. 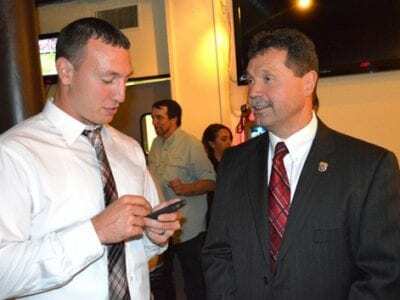 Langley bested Sheriff Donald Smith by 342 votes t… Please login below or purchase a subscription to the Putnam County Courier to access this content. 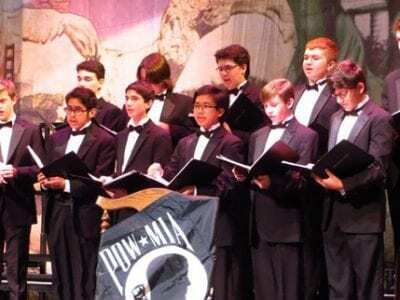 Members of the BHS Men’s Choir sing a moving rendition of “My America.” Photo by Eric Gross The Brewster High School Performing Arts Center was a site to behold when the school family joined community members by saluting America’s veterans. ‘A … Please login below or purchase a subscription to the Putnam County Courier to access this content. To the Editor: The 2018 Putnam County Budget was adopted on October 26, 2017, and yet Letters to the Editor and opinions are being written in its defense. Specifically, about the 13.9 salary increases for the County Legislators. Monday night, Octo… Please login below or purchase a subscription to the Putnam County Courier to access this content. A public informational meeting is planned for this evening (Tuesday) to seek input regarding the creation of the Beacon Line Rail Trail– part of the new Empire State Trail–consisting of a 750 mile bike and walking path–from the Big Apple to Canada an… Please login below or purchase a subscription to the Putnam County Courier to access this content. Residents served by the Brewster Water District are being urged not to wash clothing while keeping the use of hot water to a minimum tomorrow (Wednesday) as municipal workers flush hydrants throughout the half-square mile village. The work will get u… Please login below or purchase a subscription to the Putnam County Courier to access this content. Nearly six million vehicles have crossed the Bear Mountain Bridge during the first nine months of the year. The NYS Bridge Authority released its monthly statistics last week indicating 692,000 vehicles crossed the bridge from Putnam into Orange Cou… Please login below or purchase a subscription to the Putnam County Courier to access this content. Area residents will be receiving an early Christmas present from New York State now that Albany’s property tax relief credit checks are being mailed this week. A spokeswoman for the NYS Department of Taxation and Finance told the Courier and PCNR the… Please login below or purchase a subscription to the Putnam County Courier to access this content.